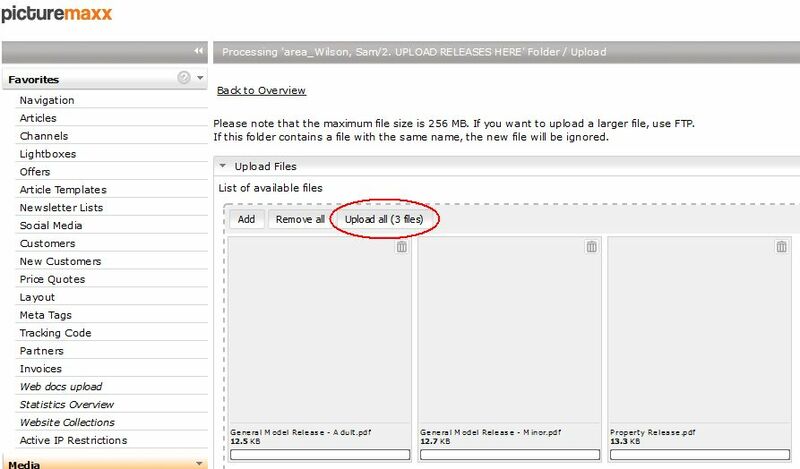 Please refer to this step by step guide to upload your files and releases to our Media Processing backend system. If you use another web browser, you may encounter issues. 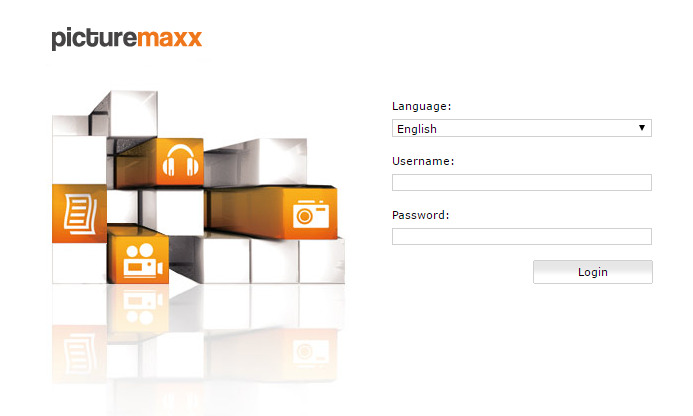 Go to https://oneshot.bs.picturemaxx.com and login using your photonewzealand credentials (please refer to the email we sent you). Once logged in, you will see on the left hand side, under Media > Media Processing some folders. If the folder called "Photographers" or "Your Name" folders are collapsed, you may have to expand them. To do so, click on the small arrow. Then follow the steps below. a. Click on the folder "1. UPLOAD NEW IMAGES HERE". You will see the folder icon turn orange and above the media section should appear "Editing '1. UPLOAD NEW IMAGES HERE' Folder. If you do not see these two things, click again on the folder. 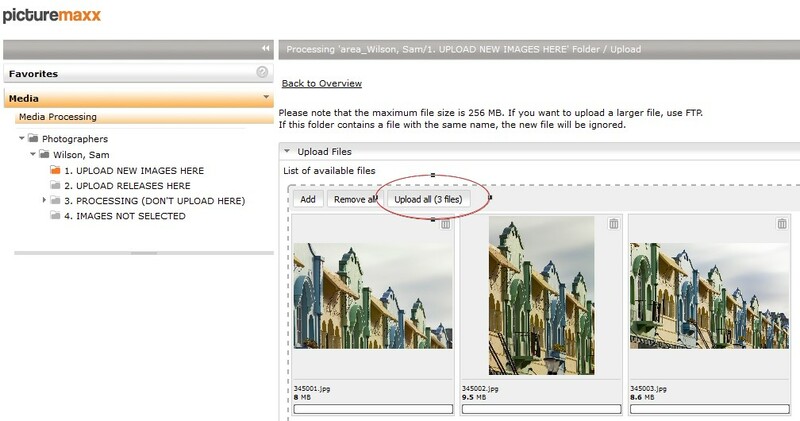 b. Click "Edit", and select "Upload Media"
d. Once the images appear in the Upload Window, click the “Upload all (x files)” button where x is the number of files you have added. You will see text highlighted in orange saying “File xxxxxx.jpg was saved successfully” for each file successfully uploaded. f. When all of the images have uploaded, click back on the 1. UPLOAD NEW IMAGES HERE folder to see the images you have uploaded. All your images have been uploaded? Awesome. You now need to upload your model releases... and it's easy as! a. Click on the folder "2. UPLOAD RELEASES HERE". You will see the folder icon turn orange and above the media section should appear "Editing '2. UPLOAD RELEASES HERE' Folder. If you do not see these two things, click again on the folder. d. Once the files appear in the Upload Window, click the “Upload all (x files)” button where x is the number of files you have added. f. When all of the images have uploaded, click back on the "2. UPLOAD RELEASES HERE" folder to see the releases you have uploaded. And please give us an image count of how many images you have uploaded, so we can check we have received them all. Couple (30s) moving in to a new house, Auckland. Done? That's it. You do not need to do anything else till you have heard back from us. We will make a selection from your submission and let you know when that is done, so you can then add captions and other data to your images.